The great Soviet Pink Panther routine by Elena Shevchenko (USSR) vs. the new Pink Panther performed by Marta Pihan-Kulesza (POL). The red carpet, the banquet dances, and other cool stuff the organizers did. Could Sandra Izbasa return for Rio? Diana Bulimar, the unsung hero and backbone of the Romanian team. A Danish gymnastics club gets to train on all of the equipment from World Championships. Emma gives her impression of the once-great Ukrainian program. Are there too many World Cups schedule, without sufficient time to rest before the European Championships? And finally, high bar Olympic medalist Krasimir Dunev , one of the organizers of Euros, proves he is freakin’ cool as hell. Emma’s YouTube Channel has some videos of fan favorites not captured on the broadcasts. Leotard series postcards (leocards) and prints by Meg. Buy them here. 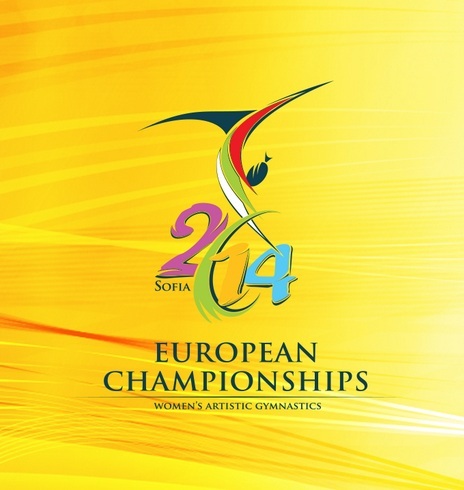 2014 European Gymnastics Championships site. 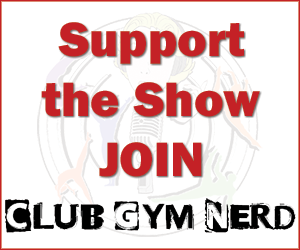 89: Everybody Loves Raymond! Pacific Rim, Men’s NCAA Championships, plus a Russian Championships/Tokyo World Cup recap DO OVER! Seriously, Jordan Jovchev deserves all the credit for making these Championships as successful as they were. He also should be made FIG president!! PLEASE?? CAN WE PLEASE MAKE THIS HAPPEN?? Emma was almost unintelligible during this recording. It was a good interview, what could be heard of it.